This is a completely new way of writing; to the fans by a fan, just the thing the fans deserve. 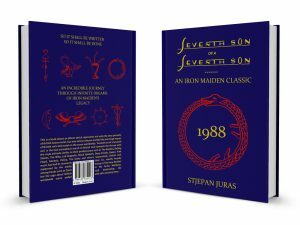 Author Stjepan Juras has a very special treat for all the Maiden fans: books about Iron Maiden music, members, fans and legacy. 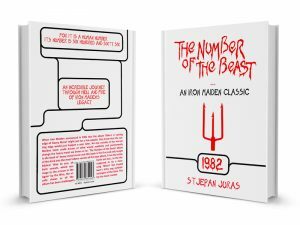 Available nowhere else, click here to buy one of the strictly limited hard copies of Juras’ books. BRAVE NEW WORLD ON SALE NOW! I’ve prepared something spectacular for each edition of ‘Brave New World’. The first ‘Blood Brothers’ edition SOLD OUT in just five days. The second edition, ‘Dream of Mirrors’, is also spectacular and available for only the 50 fastest buyers. The cover page of this edition will be reflective, like a mirror – the first ever Maiden-related book printed with reflective ‘mirror’ paper. The cover page design will be spectacular, but let us surprise you – very soon! 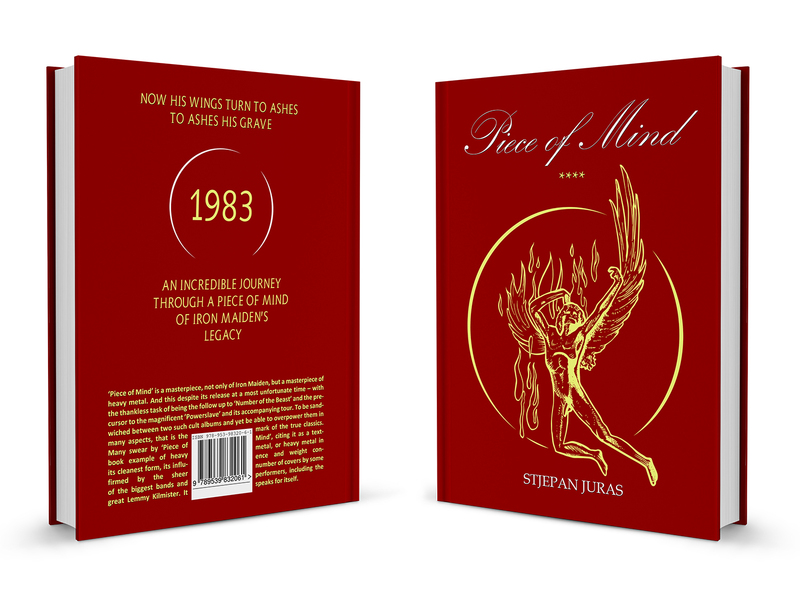 This is a unique chance to buy the ‘Dream of Mirrors’ edition, since due to the high costs of production only 50 copies will be printed. Pre-order this book on time, this is your one and only chance to get the ‘Dream of Mirros’ reflective book. PayPal link below!! If you want to own this special edition, be quick and ORDER BOOK HERE! ‘Climb like a monkey’, the phrase used in the song ‘Death or Glory’, had never been in Maiden history, more appropriate to describe their surging growth and expansion than during 1984/85, when following the release of the album ‘Powerslave’ the band left for their ‘World Slavery Tour’ and made their unstoppable march into immortality. 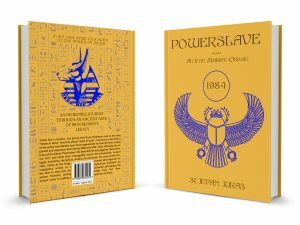 Ancient Egypt, mummies, the Sphinx, the pyramids, the curse of the Pharaohs, Valley of the Kings, scarabs and enigmatic hieroglyphics served as a mysterious invitation for the fans to step into the unknown and explore the arcane frontiers, joining Eddie from the ‘Powerslave’ cover in making a mark for all times. MORE! SEVENTH SON OF A SEVENTH SON ON SALE NOW! 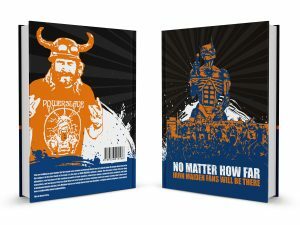 This is a book about an album which represents not only the very pinnacle of British heavy metal, but also whose release marked the last huge impact of British rock on the scene worldwide. This is the last triumphant march of British rock towards the throne with the royal attitude similar to their predecessors such as The Beatles, Rolling Stones, The Who, Led Zeppelin, Black Sabbath, Deep Purple, Queen, Pink Floyd, Genesis, Police, The Kinks and others respectively. British rock music has had its moments later on, mostly heavily supported by the media trying to find new Beatles, but the saga about British rock dominating the worldwide scene ended with this amazing story. MORE! If you don’t listen to it with an open heart ‘The X-Factor’ is everything the “well informed” media have told you it is. 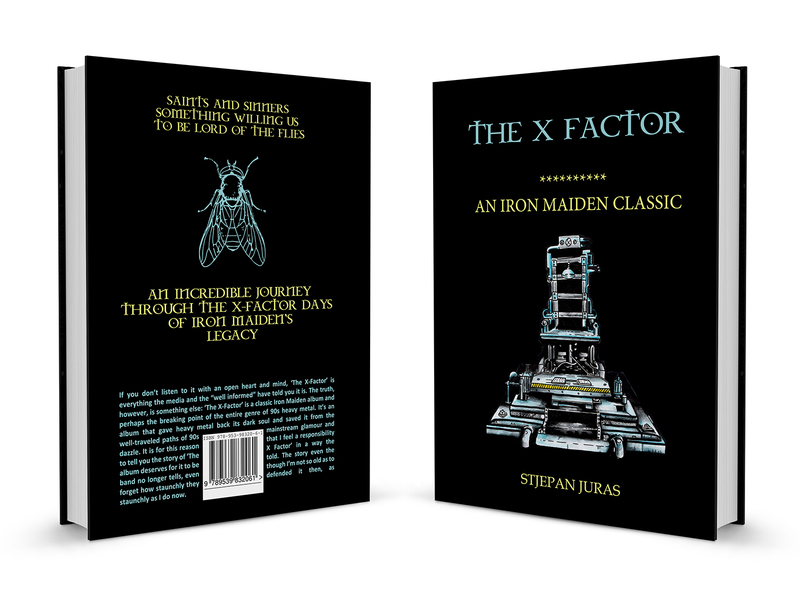 The truth, however, is something else: ‘The X-Factor’ is a classic Maiden album and perhaps the breaking point of the entire genre of 90s heavy metal. It’s an album that gave metal back its dark soul and saved it from the well-traveled paths of 90s mainstream glamour and dazzle. It is for this reason that I feel a responsibility to tell you the story of ‘The X Factor’ in a way the album deserves for it to be told. The story even the band no longer tells, even though I’m not so old as to forget how staunchly they defended it then, as staunchly as I do now. MORE! ‘Piece of Mind’ is a masterpiece, not only of Maiden, but a masterpiece of heavy metal. 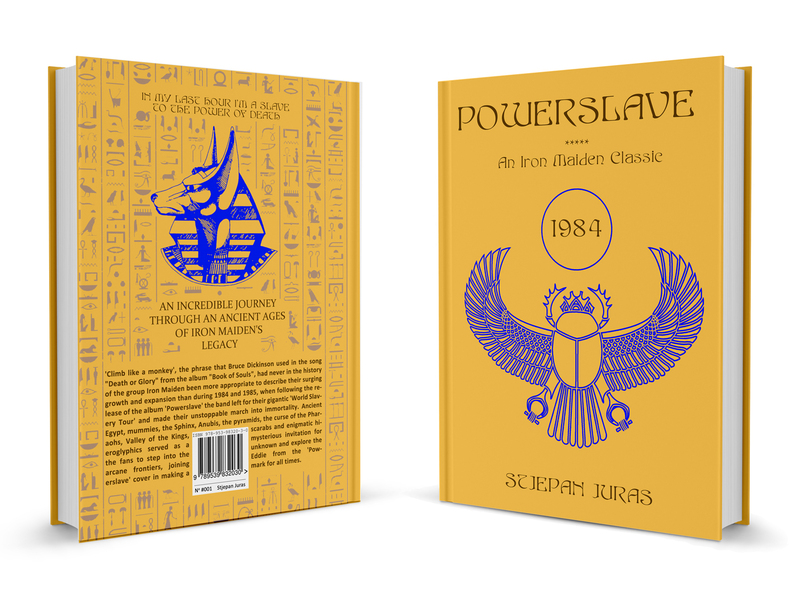 And this despite its release at a most unfortunate time – with the thankless task of being the follow up to ‘TNOTB’ and the precursor to the magnificent ’Powerslave’. To be sandwiched between two such cult albums and yet be able to overpower them in many aspects, that is the mark of the true classics. Many swear by ‘Piece of Mind’, citing it as a textbook example of heavy metal, or metal in its cleanest form, its influence and weight confirmed by the sheer number of covers by some of the biggest bands and performers, including the great Lemmy. It speaks for itself. MORE! This book isn’t the official biography of Steve Harris nor does it try in any way to describe his work in the music business since the ’70ties, chronologically of factually. This book actually isn’t a biography in the strictest sense. 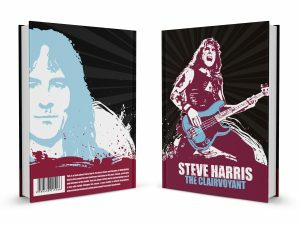 This is a warm and intriguing story about Steve Harris, and it is in reality just a long awaited tribute from a fans, and speaks about one of the most important people in the history of metal, and of rock in general. It comes from the mouths of his friends, music and business associates, family members and faithful fans worldwide. All of them shared their memories in order to make this book, and to give him recognition he truly deserves. MORE! When Maiden announced that the album ‘Killers’ is ‘cutting edge of Heavy Metal’ might just be a few people, they knew that the cutting edge would just happen a year later. No one could dream of what would suddenly and permanently change the heavy metal we knew so far. This album is abc book of metal music and this book is the first insight of this kind into the most hidden secrets of this epic album. From the initial, biblical ‘Woe to you, oh Earth and Sea’, to the diabolic scream, (a homage to the scream in the song ‘Won’t Get Fooled Again’), the album’s title song shows us all the strength of the blow this album has been challenged by the music market… MORE! 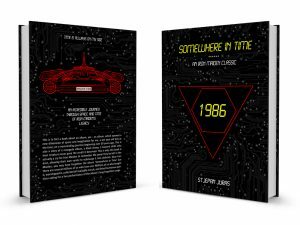 Long awaited ‘Somewhere in Time’ book is out now! ‘Somewhere in Time’, published 1986, 30 years ago, is one of the most intriguing music albums ever written. If you think you know everything about ‘Somewhere in Time’, 6th Iron Maiden studio album, you need to check this book and ask yourself same question again! 256 pages about Maiden album? This album deserves even more. Author Stjepan Juras is very proud on his book: ‘This book is my the best Maiden book so far. 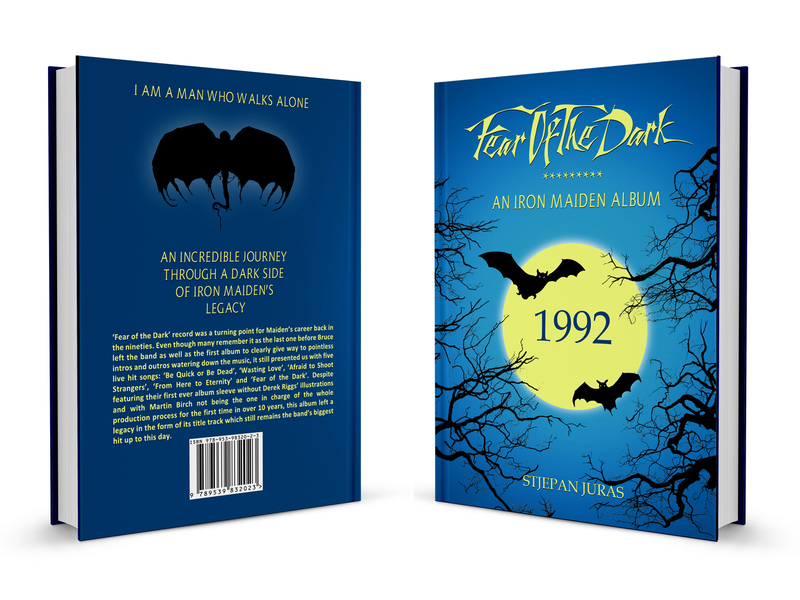 It is my gift to the all Iron Maiden fans, especially fans of this magical album from 1986.” Every buyer will receive an info email 24-48 hours after book order. MORE! 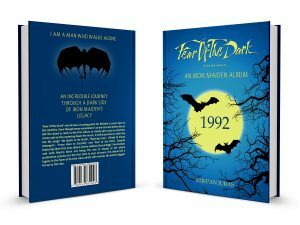 ‘Fear of the Dark’ record was a turning point for Maiden’s career back in the nineties. Even though many remember it as the last one before Bruce left the band as well as the first album to clearly give way to pointless intros and outros watering down the music, it still presented us with five live hit songs as ‘Be Quick or Be Dead’, ‘Wasting Love’, ‘Fear of the Dark’ etc. Despite featuring their first ever album sleeve without Derek Riggs’ illustrations and with Martin Birch not being the one in charge of the whole production process for the first time in over 10 years, this album left a legacy in the form of its title track which still remains the band’s biggest hit up to this day. MORE! 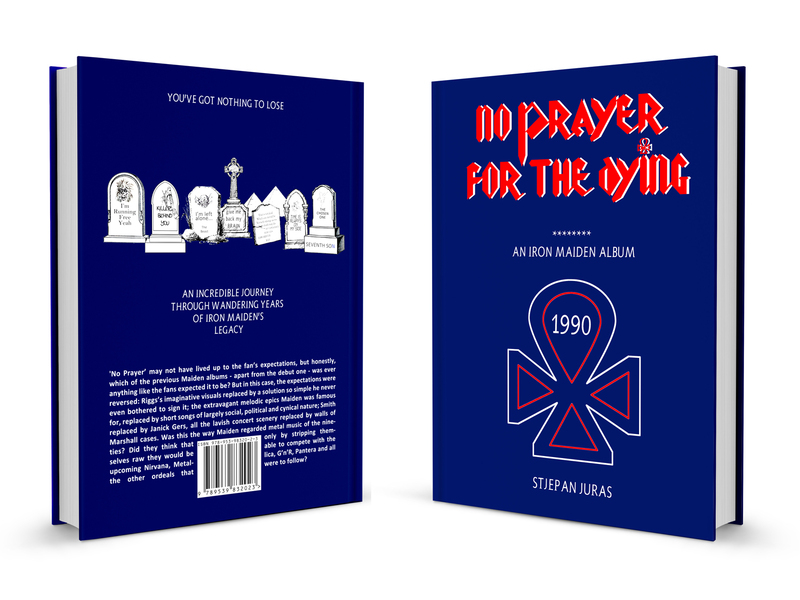 ‘No Prayer’ may not have lived up to the fan’s expectations, but honestly, which of the previous Maiden albums – apart from the debut one – was ever anything like the fans expected it to be? But in this case, the expectations were reversed: Riggs’s imaginative visuals replaced by a solution so simple he never even bothered to sign it; the extravagant melodic epics Maiden was famous for, replaced by short songs of largely social, political and cynical nature; Smith replaced by Janick Gers, all the lavish concert scenery replaced by walls of Marshall cases. Was this the way Maiden regarded metal music of the nineties? Will give you an answer. MORE! This is the first book ever written exclusively about fans of a music band. More than 200 fans from more than 80 countries are included. 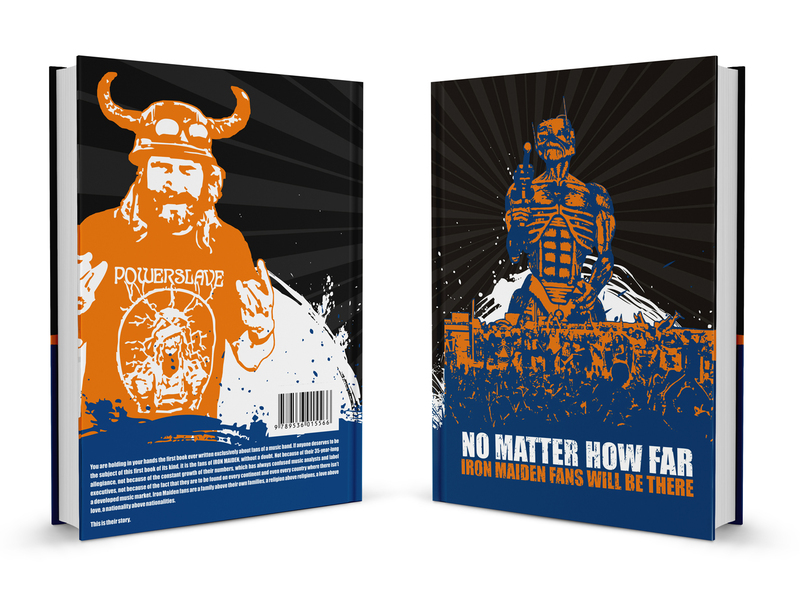 If anyone deserves to be the subject of this first book of its kind, it is the fans of Iron Maiden. Not because of their 40-year-long allegiance, not because of the constant growth of their numbers, which has always confused music analysts and label executives, not because of the fact that they are to be found on every continent and every country where there isn’t a developed music market. Maiden fans are a family above their own families, a religion above religions, a love above love, a nationality above nationalities! MORE! Hello kids, hello parents, hello to all generations of Iron Maiden fanatics. 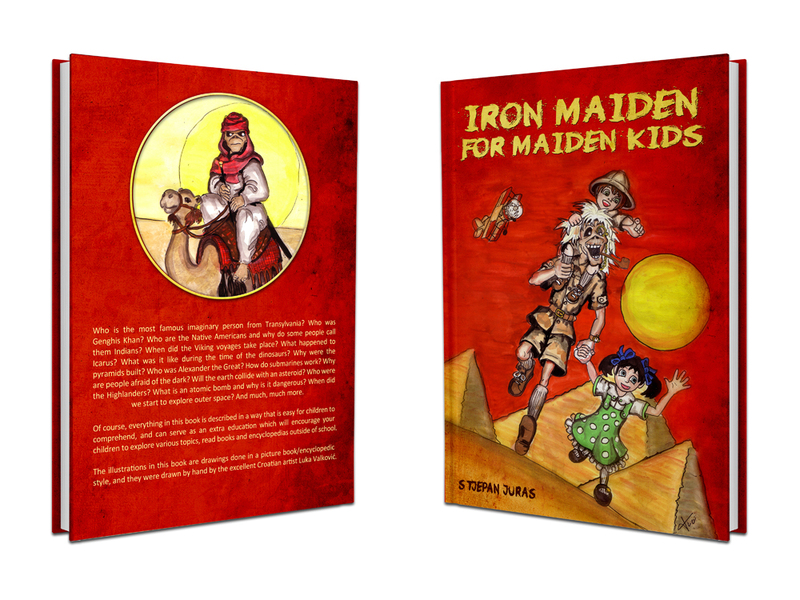 Welcome to the first ever book for kids based on the works of a heavy metal band. Normally, Iron Maiden! 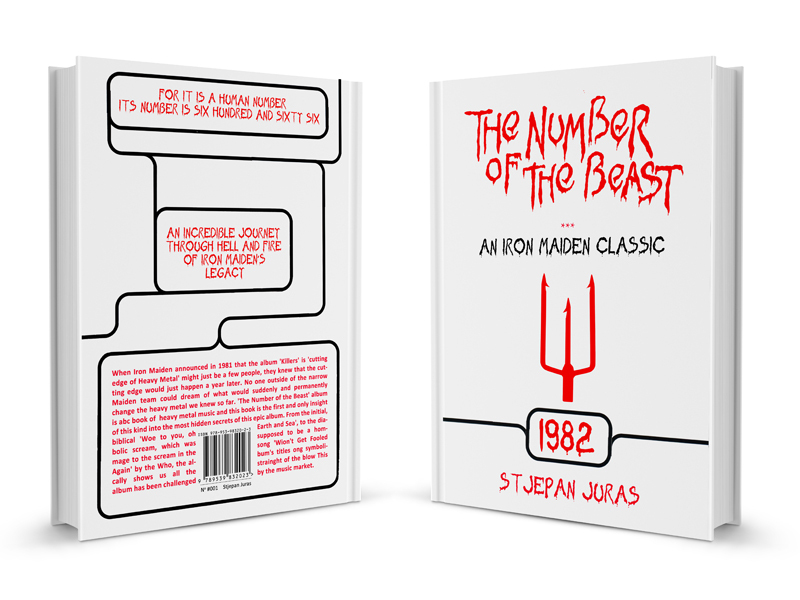 While thinking about how Iron Maiden have, since the late ’70s, brought up generation after generation of fans, some of which are now parents of young kids who also might be Irpn Maiden fans, I decided to write a book which would be a cross between a picture book, an ABC book and an encyclopedia for children between 7 and 15 years of age. 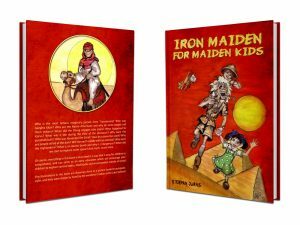 I believe that many fans have young children and that this would be an ideal way to introduce them to the world of Iron Maiden. Full color! MORE! 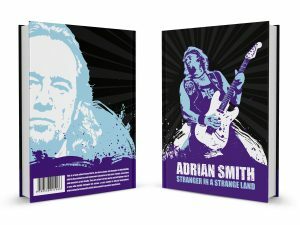 This is the story of Adrian Smith, the guitar player and IRON MAIDEN’s (H)eart and (S)oul of rock, told from great memories and numerous anecdotes of friends, associates, family members and fans. 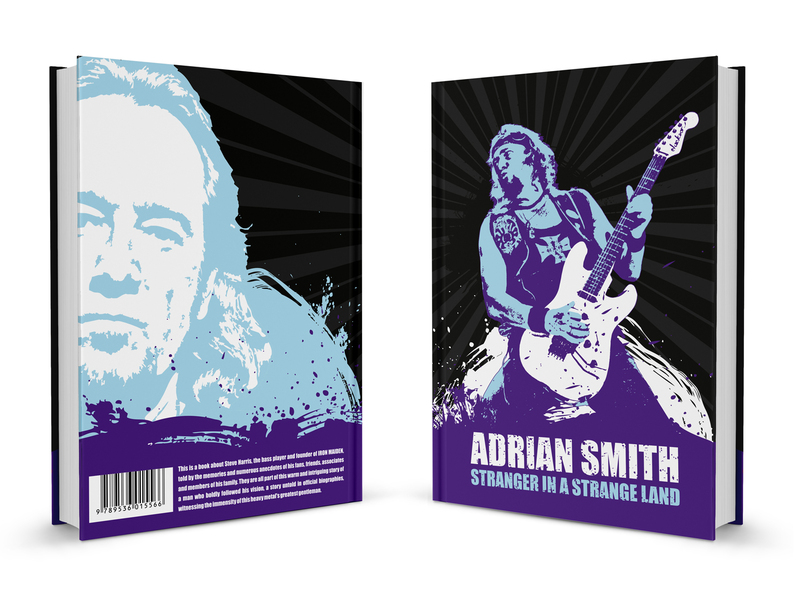 The man who gave metal music some of its finest melodies and most touching lyrics will be presented in this book for the first time. A stranger in a strange land, untouchable somewhere in his time, in a book he has deserved a long time ago. 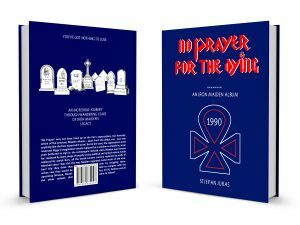 This hard cover book will be available in the summer 2016 and all info about prices and other options will be available very soon. MORE!